We are a leading Manufacturer of automatic garage shutter and garage rolling shutter from Nagpur, India. 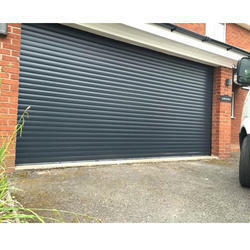 With the assistance of our team of professionals, we are capable of manufacturing of Automatic Garage Shutter. Our Automatic Garage Shutter are precisely manufactured in sync with the set international quality standards using high-quality materials and advanced technology by our experienced professionals. To fulfill the variegated needs of clients, we offer these shutters in excellent design and eye soothing colors. Patrons can avail these doors at market leading prices. Automatic Garage Shutter 150 to 16500 rs/square feet. In order to meet the various requirements of our esteemed clients, our enterprise is dedicated to providing Garage Rolling Shutter. We have designed our product using supreme quality materials and sophisticated tools. The shutter offered by us is stringently checked on various set parameters by our quality checkers that have gained rich industry experience in this domain. 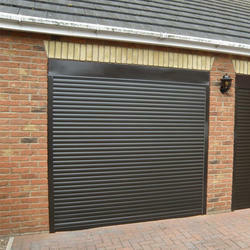 Clients can purchase this shutter in various specifications at market leading prices.